When you have multiple locations, then each schedule must be assigned to one of your locations. 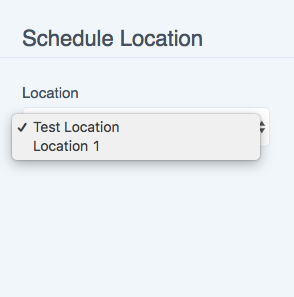 As soon as you add your first location, any existing schedules you have will automatically be assigned to that location. And from the popup that appears (in the right hand side of the page) select the location to assign to the schedule.